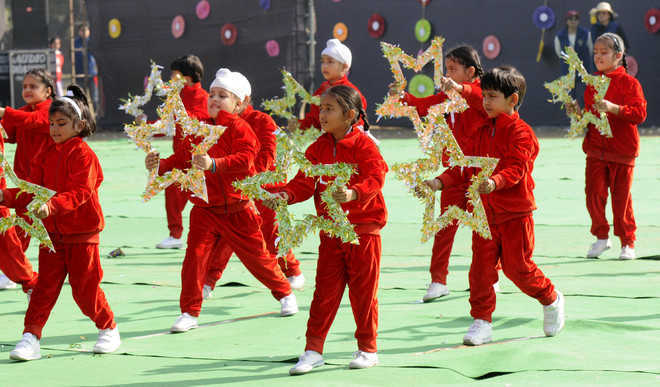 Vivek High School, Mohali, held its annual athletics meet at the Sports Complex in Sector 46, Chandigarh, wherein over 900 students from Classes I to X participated. The Athletic meet started with a march past by the students followed by a torch relay amid cheers and applause. The students were divided into various groups competed. The audience witnessed impressive drills by junior wing students. Taekwondo and yoga were displayed by students of Classes IV and V.
“Such endeavours develop sportsmanship among children. It is the habit that needs to be inculcated in them right from the beginning”, stated Anuradha Dua, Principal, Vivek High School, Mohali.